Hi there everyone! I'm Lou from Lou Loves Beauty and I have the great pleasure of guest posting on Stacey's blog today. We all know Stacey for her extensive make up collection, and one area that has made a huge impact on my life is her love for Jo Malone fragrances. I by no means have as many as Stacey but I do now have a little collection all of my own, bought on by no other than the lovely lady herself. 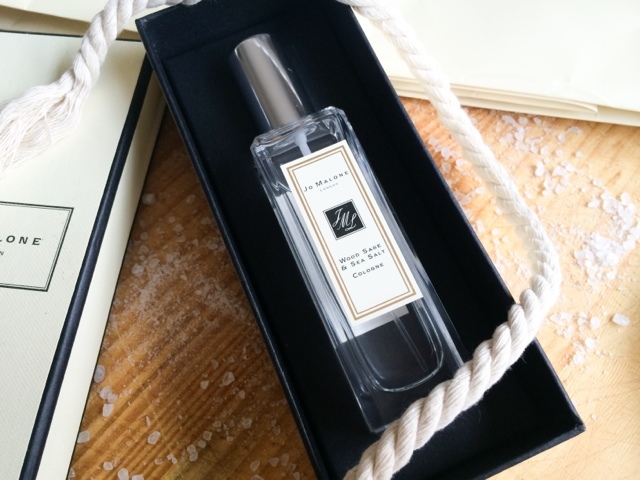 Today I'm talking about my most recent purchase - The Jo Malone Wood Sage and Sea Salt Cologne. "Escape the everyday along the windswept shore. Waves breaking white, the air fresh with sea salt and spray. Alive with the mineral scent of the rugged cliffs. Mingling with the woody earthiness of sage. Lively, spirited and totally joyful." 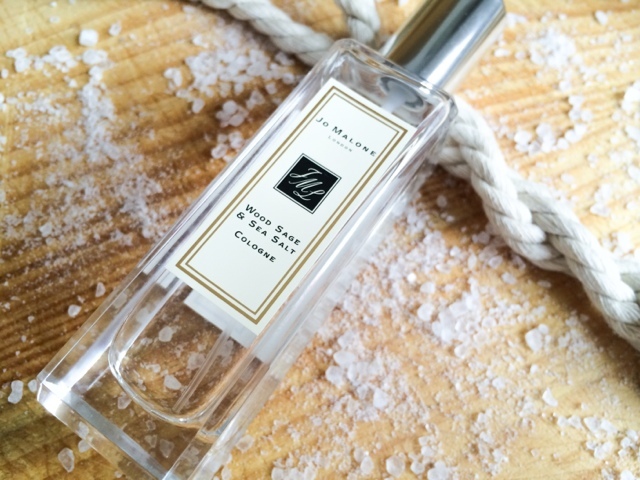 Jo Malone. This has to be by far one of my favourites scents from Jo Malone, with top notes of Ambrette Seeds, base notes of Sage, and heart notes of Sea Salt - this truly is a unique and captivating scent. It's fresh and light with an aquatic tone which stems from the sea salt and has a slight sourness to it which makes it a little sharp and uplifting. It's warmed up and softened by the woody and earthy tones of the sage, which adds a comforting and relaxing vibe, that makes this a scent for all seasons. This fragrance isn't the sort of perfume that has people running after you in the street and asking what you're wearing because you're leaving a trail of it behind, but they will stop and think "damn, you smell good!" It's a 'I'm not wearing anything, its just my natural gorgeous scent' kinda fragrance which to be honest is lovely and understated, perfect for day and night time use, and ideal for someone that doesn't like anything too heavy, if that's you, this will be right up your street! If you're near a Jo Malone counter you really need to give this a squirt, and I apologise in advance if you have to make an unnecessary purchase, because once you've smelt this there's no going back!